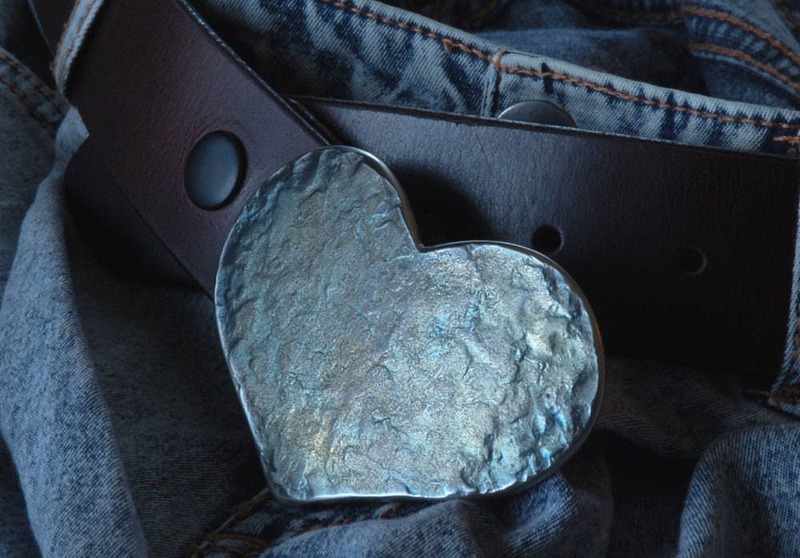 This is the perfect belt buckle for jeans or casual pants. 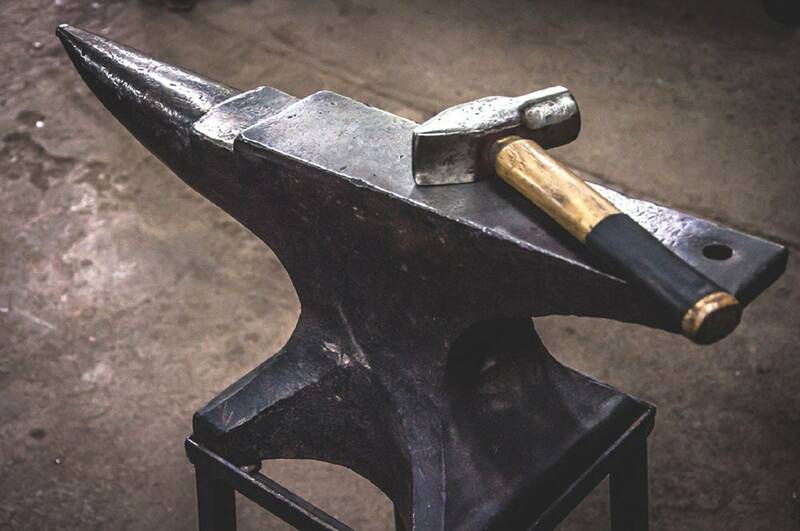 Stainless steel blue, silver, gold, bronze or pink heart textured on blacksmith's anvil. 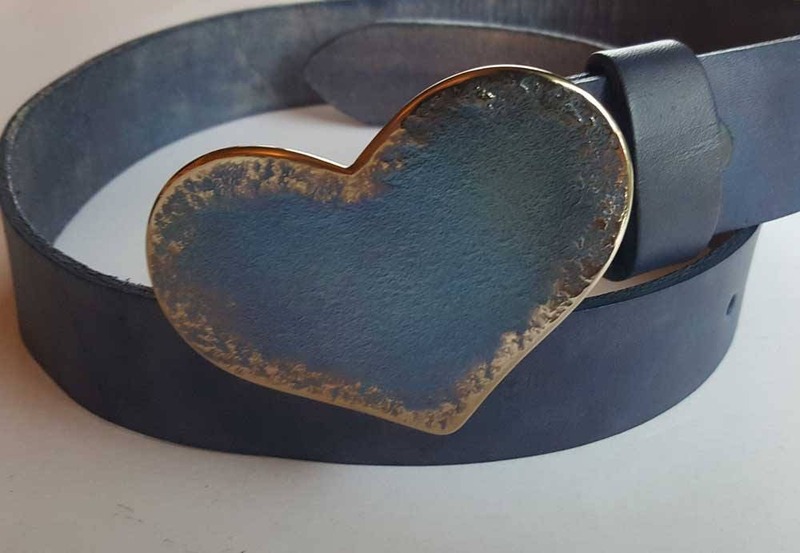 Ultra slim line designed buckle is an original "heart" by Robert Aucoin. Stainless steel buckles. 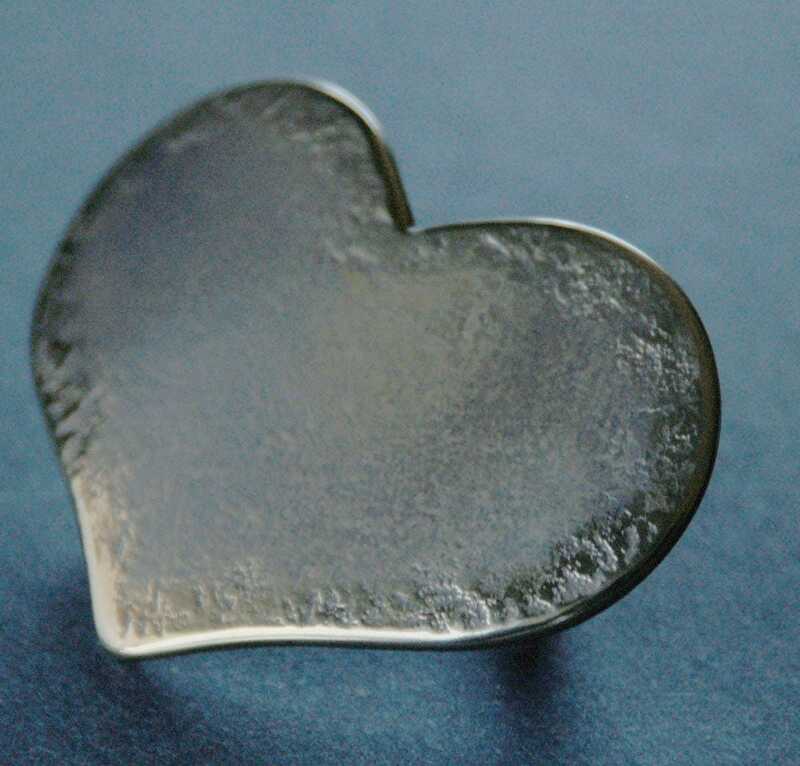 Great for anniversary, sweetheart gifts, or just because. 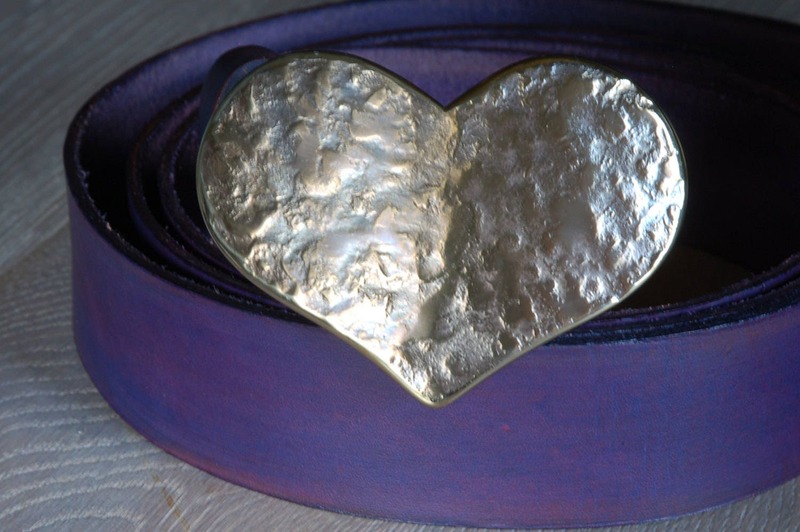 Buckle is (3-3/8" x 2-1/2") and fits a 1-1/2" full grain, leather belt. Sold separately. We will combine shipping for both items. Send us your zip/postal code, belt colour, pant/waist size. 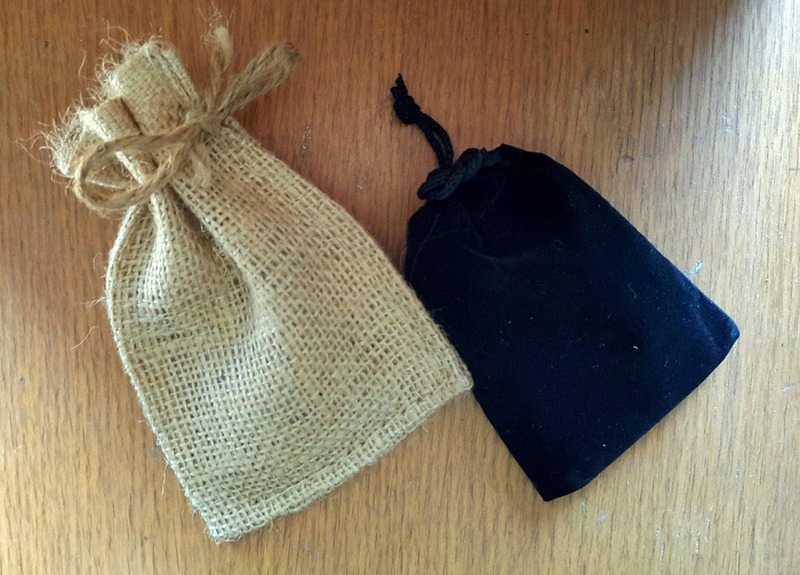 Black velvet or beige burlap bag included with each belt buckle signed by Artist, Robert Aucoin. Make your choice from our drop down variation menu. Belts have snaps, making them interchangeable with all of your buckles. Please mention your waist size at the time of purchase.